Of course, it doesn’t have to be the holidays, a nice cup of hot chocolate sounds good to me anytime between October and March. It’s perfect as soon as the weather starts to get chilly. 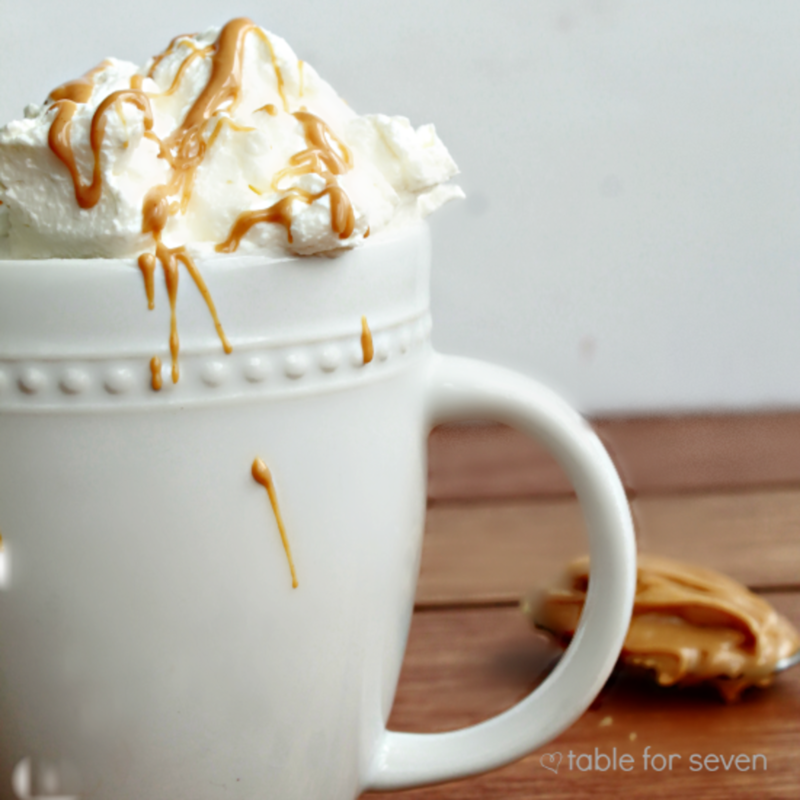 A great twist to your average hot chocolate is adding some peanut butter. Yes! It tastes amazing . 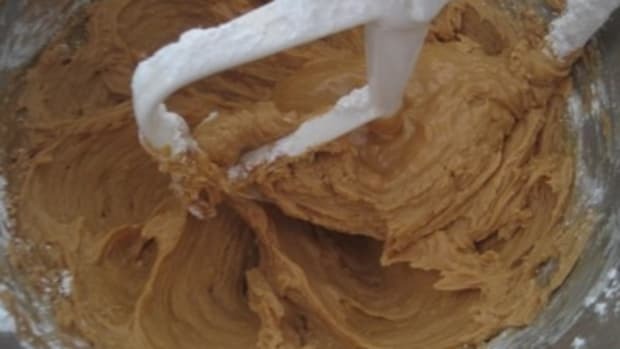 Creamy peanut butter mixed into warm chocolate and topped off with whipped cream. 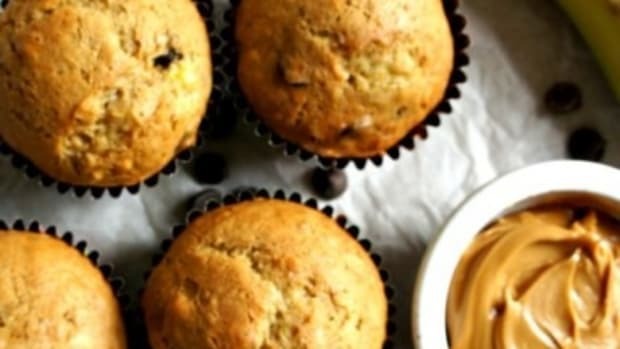 Add a drizzle of some melted peanut butter and it’s the perfect winter treat! 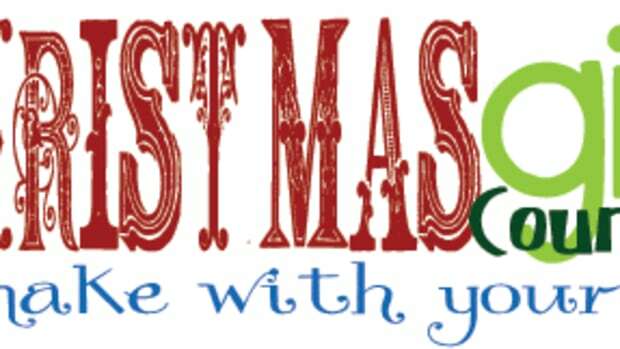 Over medium heat, whisk together milk, sugar and cocoa powder. Add in peanut butter. Continue simmering until smooth and heated through. If desired, top off with whipped cream. 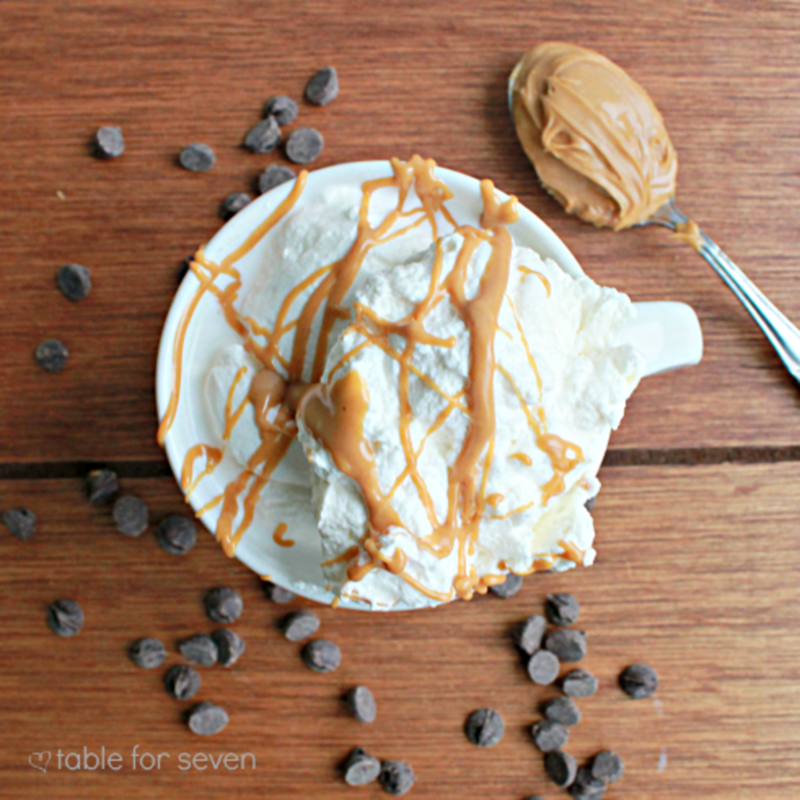 Melt an additional tablespoon of peanut butter and drizzle on top of whipped cream. Sometimes you just need a little heaven in your life. 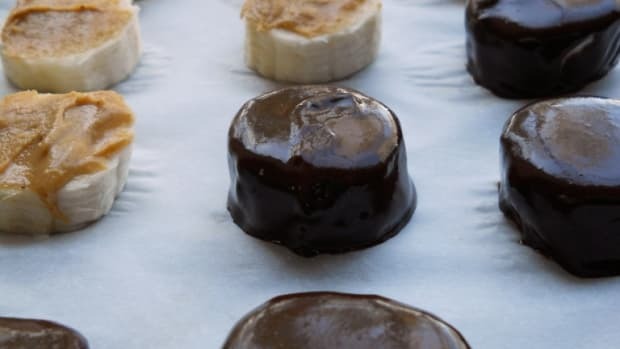 Make these. 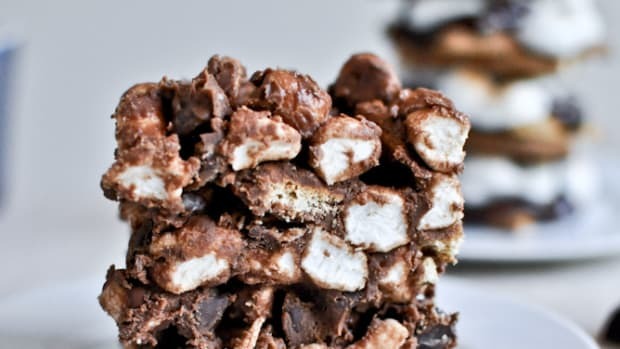 These are the perfect summer treat—they combine the glory of a goodie that doesn’t require firing up the oven AND they incorporate all of my favorite s’mores ingredients. Baking is a special pastime in my family. 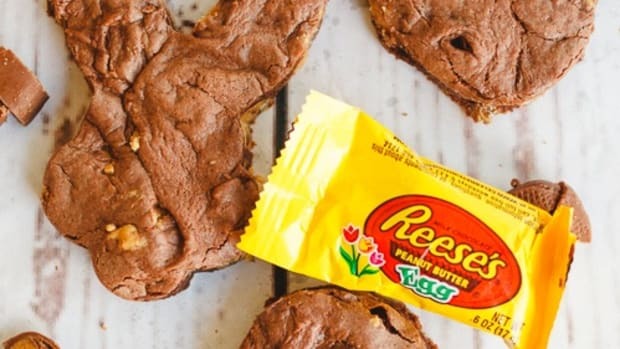 We’ve found a way to combine the glorious ease of a cake mix cookie with the traffic-stopping deliciousness of Reese’s Peanut Butter Eggs. THIS IS NOT A DRILL. homemade hot chocolate and marshmallows. 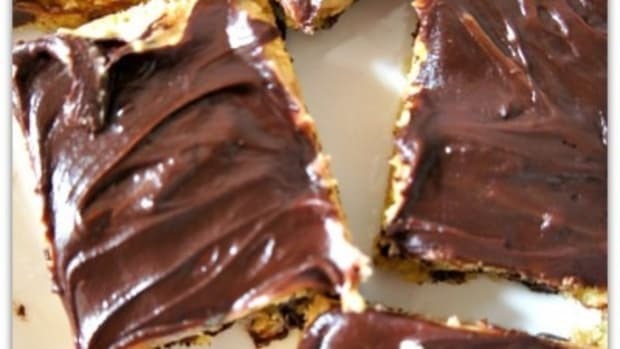 A lovely combination of ingredients that kids and adults will devour in about 2 seconds.